Stainless steel wire rope cross clamp, with inside M10/M12 thread in the base for secure mounting onto threaded rod. 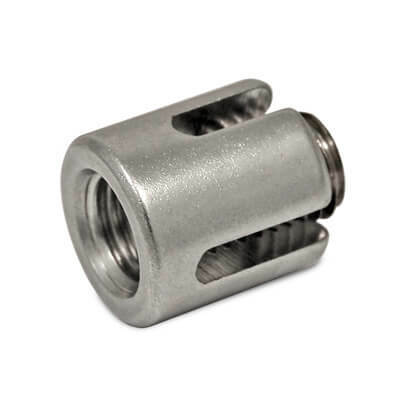 Cross Clamp with thread grub screw to secure stainless steel wire ropes in place, ideal for wire trellis crossovers. A4-AISI 316 grade stainless steel construction for outdoor applications. Allows for 90 degree crossover of wires. 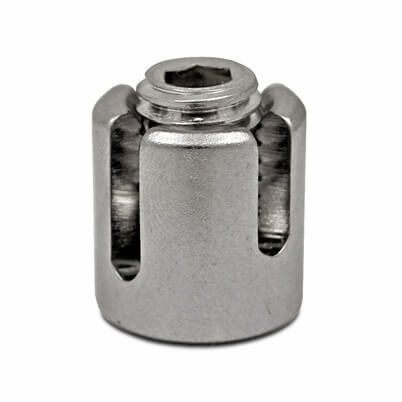 Internal thread for mounting onto threaded rods, available separately. You can cut threaded rod to suit your installation, you may want flush mount or stand-off mount. Threaded rod can be mounted in to walls and masonry surfaces with the aid of injection mortar or a chemical anchor resin for a secure fixing. 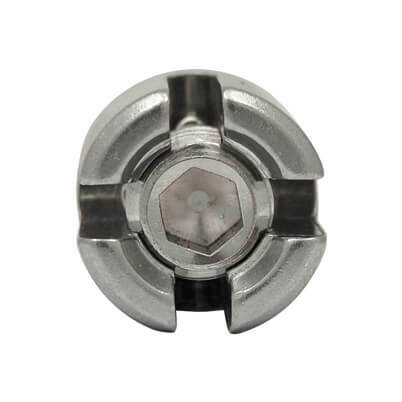 To add stainless steel wires simply remove the central hex head grub screw and insert your wires and position. Well machined and very strong. 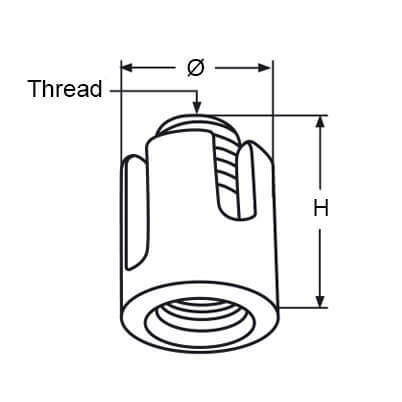 Threaded Rod available by the metre. Chemical Anchor Resin Capsule for securing threaded rods.